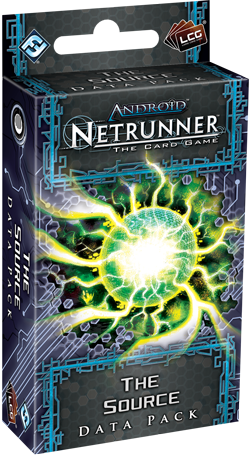 Fantasy Flight Games is proud to announce the upcoming release of The Source, the sixth and final Data Pack in the Lunar Cycle for Android: Netrunner! In The Source, cyber-explorer Nasir Meidan departs Heinlein for Earth and the relative safety of his apartment. There, he stares at the drive in his hand before booting up his console. Was he able to complete his download? Does this drive truly contain the net's legendary source protocols? What will he find? After a series of thrilling encounters with Corporate security measures and security officers, all he has to do is pull up the files. 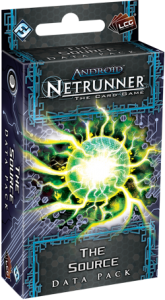 At the end of your lunar expedition, the sixty new cards in The Source (three copies each of twenty different cards) reveal surprising new takes on life, evolution, and death in the virtual world and the cyberstruggles of Android: Netrunner. You'll find assets that reward Corps for birthing new servers and others that can self-destruct. You'll find self-propagating viruses waiting to explode into the network, and you'll find programs that reward you for jacking out of your runs. Discover the splendid circuit of Hockenheim surrounded by forests and the urban circuit of Valence, close cousin of the circuit of Monaco. Gravitational and modern, the German circuit of Hockenheim was rebuilt with many recoveries before acquiring its single layout supporting the goings beyond. 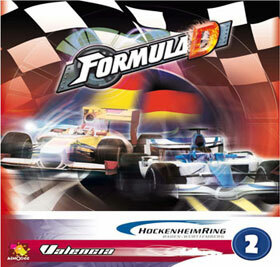 Hockenheim is without question the circuit of the races with large spectacle! Extending on more than five kilometers, the urban circuit of Valence in Spain is for its part equipped with an exceptional track curving through the ports and the infrastructures of the America's Cup race. 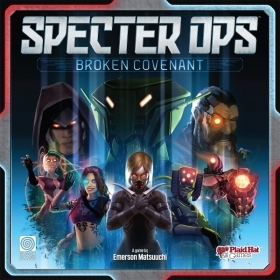 Specter Ops: Broken Covenant is a standalone game set in the Specter Ops universe that puts two to five players in the middle of a war that's fought in the shadows. Corporate secrets linger within the corridors of Raxxon's abandoned headquarters and, even though the base is empty, it is not forgotten. In this tense cat-and-mouse showdown, a lone A.R.K. agent stalks the shadows of the facility, attempting to complete secret objectives while hunters from Raxxon's Experimental Security Division try to pinpoint their location and destroy them. On one side, the agent must use all their skills and equipment to succeed. On the other, the hunters rely on teamwork and superhuman skills to locate their prey. No matter who you play, you must use strategy, deduction, and stealth to win. In Tzolk'in: The Mayan Calendar - Tribes & Prophecies, each player now becomes the leader of a particular tribe, each of which has a special ability that only that player can use. The game includes 13 tribes to provide plenty of variety. 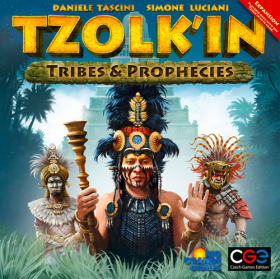 With this expansion, the game of Tzolk'in: The Mayan Calendar is also influenced by three prophecies that are revealed ahead of time and fulfilled when the time is right. These prophecies give players other opportunities to score points, but they can also lose points if they don't prepare themselves for the prophecy effects. As with the tribes, the expansion includes 13 prophecies. This expansion also has new buildings and components that allow up to five players to compete.